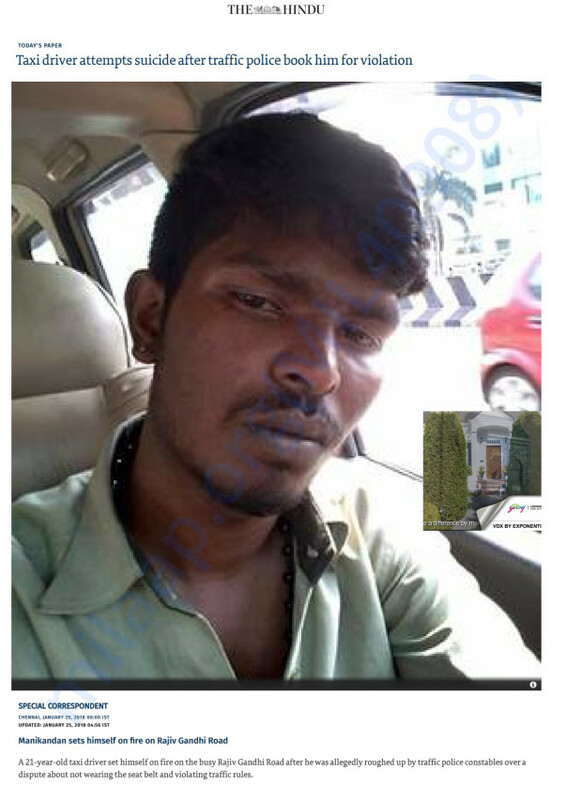 Manikandan a Cab driver in chennai committed suicide on January 25th 2018 due to police harassment and humilation. Despite paying up the fine for a minor traffic violation he was not provided receipts. When he filmed police taking bribes from other motorists, he was harassed. He was taken into a nearby police booth and was beaten with an iron rod. Police snatched his original license, car key and mobile phone. He was then verbally abused by police who abused him using his caste name. 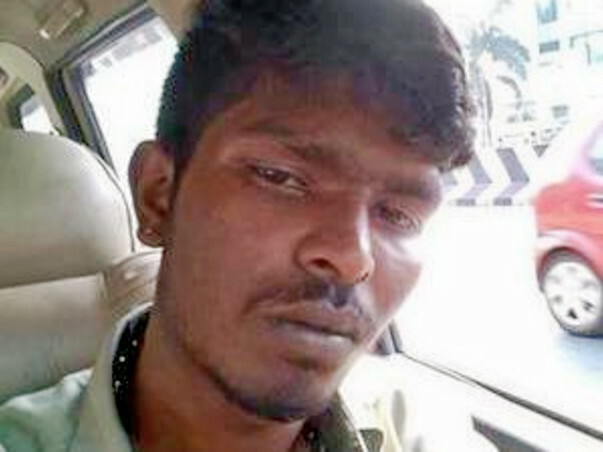 Police objected to Manikandan taking videos, and spoke ill of his mother and sister. After some time Manikandan poured fuel from a bottle he kept in the car. Police though saw him pour fuel on himself, they did not come forward to rescue or help him. He was then taken to Government Hospital Kilpauk with 59% burns. However Manikandan could not survive and died of burns. This behaviour of the police is highly condemnable and is a major human rights violation. Manikandan's sister says she wants case filed on police officers responsible for pushing Manikandan into a state of committing suicide. As Manikandan hails from a very simple background, please help his family fight against the corrupt social system prevailing in TamilNadu/India. Usually fighting against the government and government officials is an uphill task and the path is filled with lot of obstacles. Despite several petitions to various government departments asking for stringent action, the govt has so far only responded lethargically. When the Tamil Nadu government goes on a spree of arresting activists and whoever talks criticising government, its high time we prove that we are equals as citizens and excercise our constitutional rights. Please contribute so that we can support the family file a case in the Madras High Court. All contributions will be spent only towards Advocate fees and for getting adequate compensation to the late cab driver Manikandan's family.